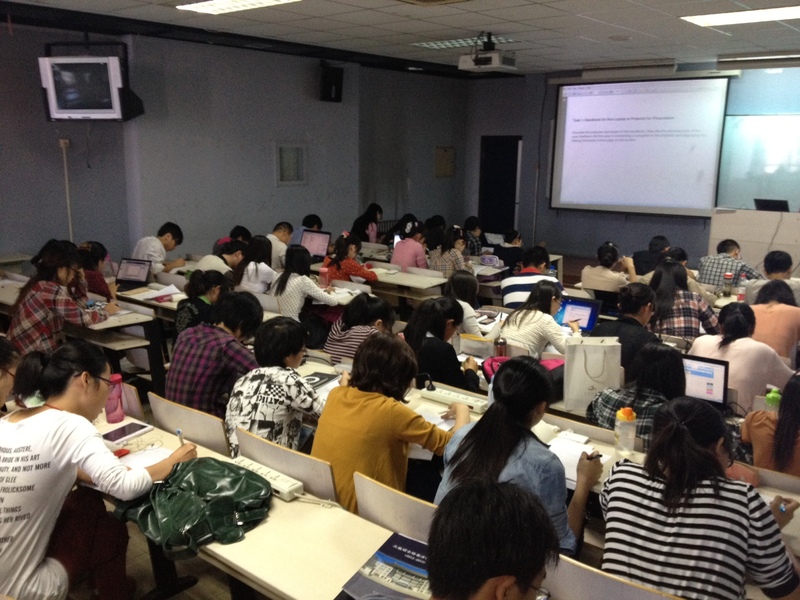 This week saw the launch of the Technical Writing in English course at Peking University (PKU). The course was new last year, as an option, but is now a compulsory course for all Text Translation & Technical Writing Master’s students. The course is developed and delivered by Sigma Technology, taking input from the experience of technical writers and technical editors employed at Sigma Technology. The master’s program has been changed this year, to include technical writing as a larger area of study. The program has about 50 students, all of which are taking the course developed by Sigma Technology. The course lasts 16 weeks, with 3 hours of seminars each week, and ends with a final written test. The course is worth three university credits and includes a final written test. The course was very successful last year and gave way to another opportunity for strengthening Sigma Technology’s relationship with PKU: taking on interns from the course. Sigma Technology has taken on seven students on an eight-month internship from last year’s Technical Writing in English course. The interns are given specific training and support from tutors and other technical writers. The interns are treated as regular employees, performing tasks and reporting time used, so that the performance and efficiency improvements can be seen easily. The overall aim with the internship program is to develop the interns’ abilities in technical writing, so that they can be trained into fully-fledged technical writers! The results and feedback so far are very promising and the interns are enjoying the atmosphere within the company, as well as learning a lot about technical writing and working life in general. “In the past five weeks, I’ve seen a big difference in the students’ understanding of technical writing”, Nate Zhang, site manager for Beijing. Check our news page and Facebook page for regular updates, and for more information contact Fredrik Wenneberg.